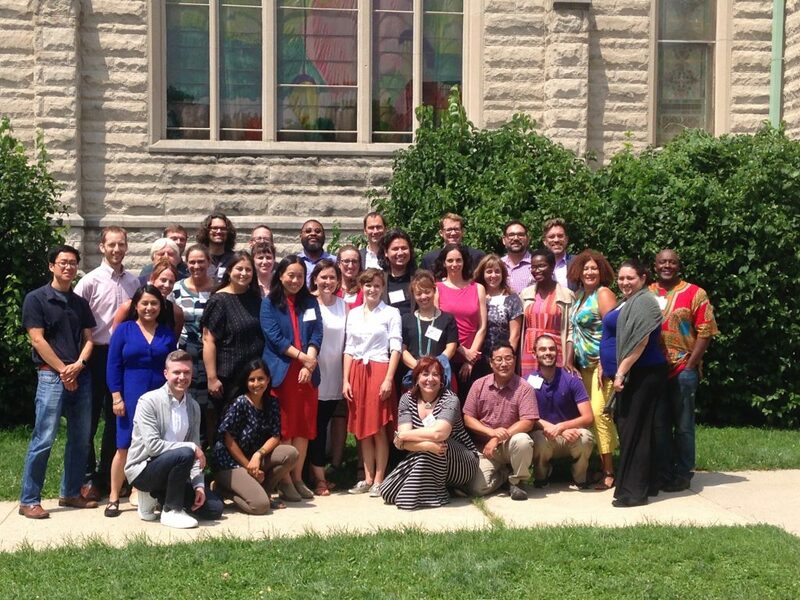 Last month, a group of 24 transportation officials, engineers, planners, artists, policymakers, and advocates from around the country gathered together in Indianapolis to sweat and scheme about how to use arts and culture to build support for more equitable transportation infrastructure. Twenty-four leaders, ArtPlace America and T4America gathered in Indy for a rare opportunity to talk transportation and creative placemaking. Transportation for America (a program of Smart Growth America) and ArtPlace America co-hosted this working group, which was graciously hosted by Big Car Collaborative and the Harrison Center for the Arts, two of many incredible organizations working at the intersection of arts, culture, and community development in Indy. Geoff Anderson, President of Smart Growth America, welcomes the working group. During our time in Indianapolis, the working group visited a few sites including a complete streets project at Maple Crossing, part of Great Places 2020, and Big Car’s Artist & Public Life Residency, an artists’ housing and community land trust development. We also heard from leaders of creative placemaking projects around the country; working group participants Amanda Newman, Joseph Kunkel, Alan Nakagawa, and Peter Svarzbein shared stories from their roles as the creative instigators behind incredible arts-driven transportation projects in Takoma Park, MD, Kewa Pueblo, NM, Los Angeles, CA, and El Paso, TX, respectively. We ended our time together by breaking into four groups — federal, state and regional, local municipal, and local advocacy — to brainstorm specific ideas and initiatives to further support the adoption of arts and cultural strategies as crucial to solving challenges within the transportation sector. A storefront in the Maple Crossing corridor where Harrison Center for the Arts is fostering arts programming that engages the local community. Considering how arts and culture can help transportation agencies better engage communities is just one, narrow aspect of how creative work can help produce better transit infrastructure. There are also varying degrees and definitions of community engagement. While to some it may conjure images of an inaccessible public sector official sitting behind a desk while community members yell at them, others see community engagement as a more significant power shift where transit planning is led by residents themselves. Many working group members agreed that approaching transportation planning through arts and culture helps us go beyond the cursory or surface-level community engagement that is all too common. The inclusion of arts and cultural strategies doesn’t automatically lead to transportation projects that serve everyone fairly or reflect the diversity of all stakeholders. Equity must be part of the DNA of any project. One participant identified the need to be clear about what ethnic and socioeconomic communities a project is intended to serve and what kinds of cultural heritage the arts and transit project would lift up: If the neighborhood is predominantly African American, yet the arts presented are culturally European, what message does this send regarding the project’s audience? Another participant suggested that because some communities have experienced a history of disinvestment — notably communities of color, immigrant communities, and lower- or mixed-income communities — an equitable approach to transportation investment will actually require disproportionate investment to level the playing field. The transportation field operates with these four core considerations, and participants noted that we must effectively demonstrate how arts and culture impact these concerns to be taken seriously. Others felt that the inclusion of arts and cultural approaches should and could actually help shift which considerations are important and what transportation professionals actually evaluate as success, moving away from impersonal quantitative metrics to a more holistic picture that includes the quality of experience. Yet, other participants prioritized the importance of continuing to identify the key traditional transportation stakeholders who need to understand and advocate for the impact of creative placemaking, and create tools that can empower these allies. Many in this field have been working for decades to build beautiful public art at transit stops and on bus and train lines. However, our group noted that an area for growth is the opportunity to impress upon transportation leaders that apart from this more visible form of the arts, arts and culture can play a vital role in the actual transportation planning processes, implementation, policymaking, and more. We spent a lot of time discussing the different barriers to better integrating cultural approaches to transportation. For example, engineers may not feel comfortable with or be encouraged to communicate transparently with residents, and residents may feel unmotivated to share their experiences after past histories of being negatively impacted or disrupted by new transportation projects. Participants discussed how to overcome these kinds of barriers, articulating that this kind of synergy is required to get us to better community outcomes and that arts and culture can help lead the way. Stay tuned for the release this fall of our Arts, Culture and Transportation Field Scan — an examination of creative placemaking in practice across the country by T4A’s Arts and Culture team, commissioned by ArtPlace America — which includes deeper exploration of the ideas discussed above. Sign up for our newsletter here to receive ongoing updates. In 2016, T4A began its arts and culture initiative with the launch of The Scenic Route, an interactive creative placemaking resource for transportation professionals. 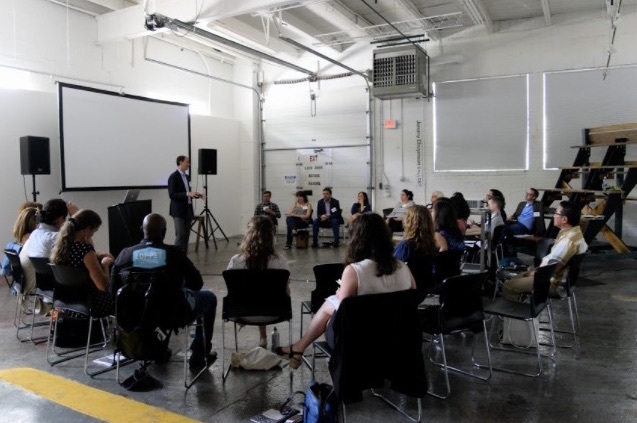 More recently, T4A launched the Cultural Corridor Consortium, a grant making and technical assistance program that supports communities to use arts and culture to solve local transportation challenges. T4A is currently producing a field scan in collaboration with ArtPlace America examining the impact of arts and culture on transportation projects. 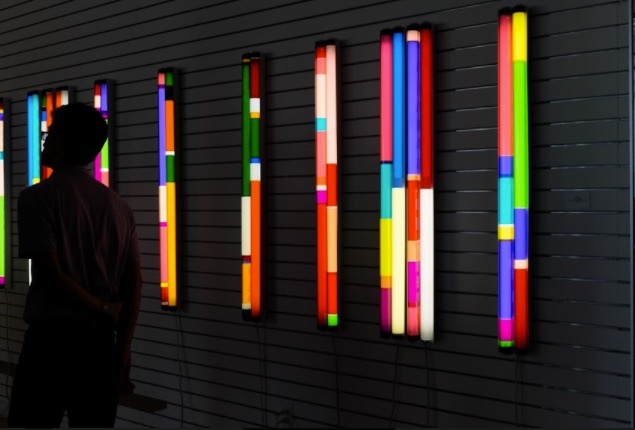 T4A is a leader in the national creative placemaking movement, which seeks to support and institutionalize the role of artists in contributing to community development projects, especially in advancing smart and equitable transportation solutions. ArtPlace Research Strategies seek to understand both the processes undertaken and the outcomes achieved by creative placemaking practice. By looking deeply into the activities and learnings surfaced in both the National Creative Placemaking Fund and Community Development Investments program, we bring the arts and cultural work happening in communities of all sizes and contexts together with an analysis of key trends and measures of success in community development practice. Rather than attempting to develop a single approach or system for evaluating creative placemaking project impacts – which vary widely depending on local context, stated goals, and partners – ArtPlace research products are intended more broadly to support practitioners and organizations interested in taking up creative placemaking work. Our partnership with Transportation for America is part of a broader research initiative that we refer to as the Translating Outcomes initiative.